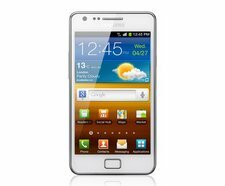 After being a bit silly and putting an April 12th date on the arrival of the Android 4.0 update for its Galaxy S II, Vodafone has now had to delay it – until tomorrow. That’s another 24 hours of HELLISH SUFFERING for users who bought their Samsung phones through the network. Unfortunately Samsung have told us this morning that they are unable to make the update available to you as planned. The new plan from Samsung is that the update will be available via KIES tomorrow, 13th April, and via Over The Air update on Tuesday 17th April. If this moves at all, we’ll of course let you know. I know a lot of you, like us, will be disappointed at this last minute change of plan and we continue to challenge Samsung to make this available to you as quickly as possible. Try not to grind your teeth too much over this, Vodafone users. It’ll only lead to expensive dentistry troubles in later life. Hopefully this will enable Samsung to push out the ICS update for users of unbranded versions of the Galaxy S II, who have rather puzzlingly been left until last this time.